Prodos Games LTD Forum • View topic - Mishima approching. Hi, first escuse me for my poor english, but i'm french. For my first post, there is my first mini for my Mishima's force. 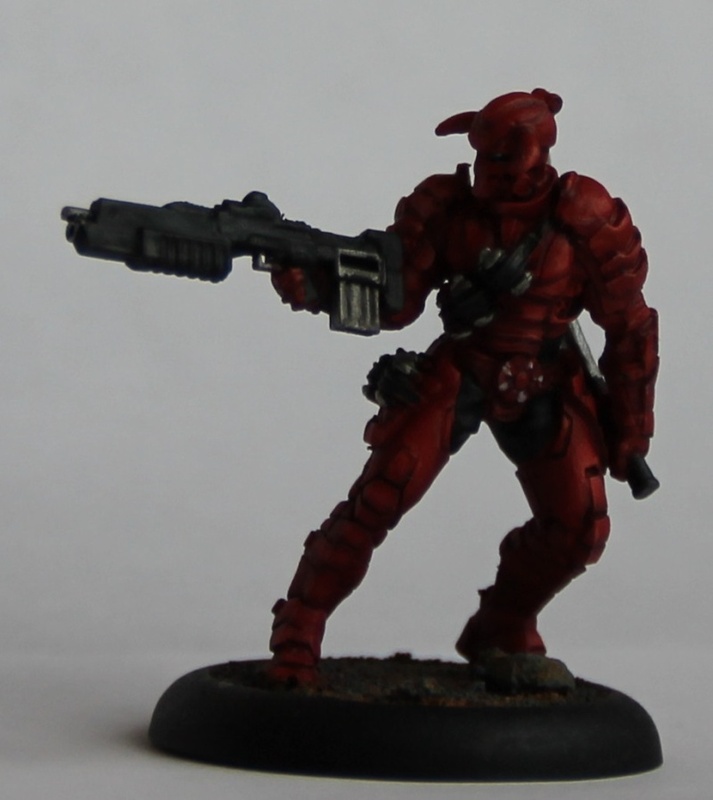 A crimson devil, the picture isn't nice, but to photography i'm a beginner too. Post subject: Re: Mishima approching. Mais ne t'excuse donc pas auprès de ces satanés Rostbeaf !!!! Your mini seams pretty cool to me, but I must admit the picture is a little bit dark. Si t'es sur Paris, je suis à la recherche de joueurs pour mes premières parties. Ok, i'll try to take better picture when the sun come again in my country. In paris, we are about to play some initiation games in CFJ club, I was in contact with tow other players interested, I need to reactivate them. What will be the next one ?